7/1/2018 -Received my plumeria charm and it was as expected and perfect for the person I ordered it for. Ernest was so accommodating, as I needed to have my order delayed until I returned from a vacation. I will shop here again. 1/7/2018 - "Just bought the Palaoa pendant. It was Very nice :) raised D and last one in stock. Glad I got it! Ernest was so nice and very helpful! Even went the extra mile to send it express one day shipping to me, so I would have it in time for my husbands birthday! Kind enough to incur the extra cost! Mahalo Ernest! 1/20/2018...Just a quick follow up to buying a Palaoa pendant that we had a bail replaced. 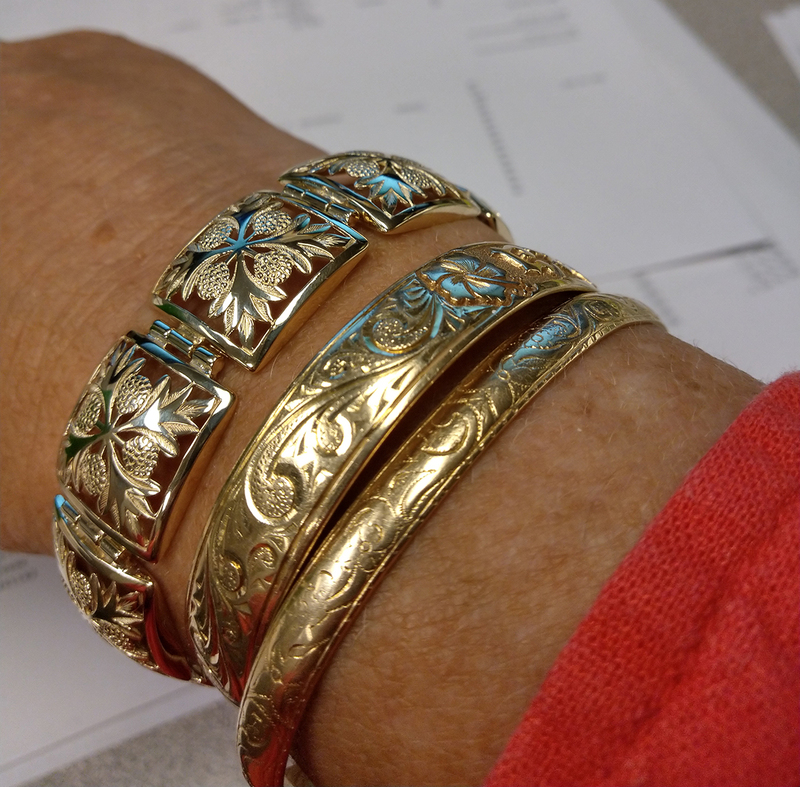 Honestly, I can't say enough about Hawaii Gold Jewelry. The customer service from Ernest is awesome! If your looking for a friendly, accurate, goes the extra mile kind of guy, he's definitely your guy! The bail was very nice and complimented the pendant well. He even expedited the pendant too! He received it on Saturday and by Tuesday morning it was in my hands:) Love this place! 12/13/2017 - "Very happy for this beautiful earrings (Cut Out Heart Earrings #E0654) with reasonable price tag! 8/23/2017 - "Plumeria Scroll Link bracelet just arrived, thank you! It is absolutely gorgeous, even prettier than your pictures. 7/24/2017 - "Ernest, thank you so much for your help, your careful attention to details, and for accommodating the sizing of my gorgeous Hawaiian quilt link bracelet. 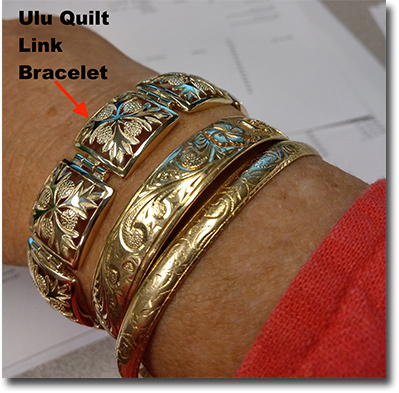 I LOVE the bracelet and the intricate quilt designs! It fits perfectly, is very comfortable to wear, and is more beautiful than I imagined! I've always wanted a bracelet like this, and my husband is giving this to me for my birthday in Sept. It's too bad I have to wait 2 months until I can wear it! Again, many mahalos! 3/18/2017 - "Ernest was very responsive to my inquiry. He also followed up on my order and expected delivery date. The Palaoa Pendant is beautiful and very nicely done. It exceeded my expectations! You are a company I can really tell my friends about, as your customer service is THE BEST! If you would like to post a testimonial, feel free to use our online testimonial form. Back to the topWe encourage our customers to tell us in their experiences using HawaiiGoldJewelry.com. By submitting this form, you give Hawaii Gold Jewelry.com permission to print/post either all or part of your testimonial/comments. Form to submit testimonials about Hawaii Gold Jewelry.Com.